What is the difference between Compliant & Non-Compliant Deliveries? 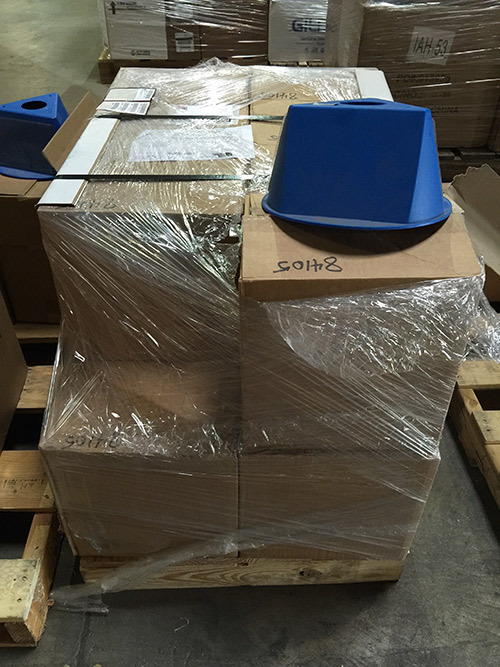 Non-Compliant Delivery "Waiting for an ASN"
Non-Compliant Delivery "ASNed but Boxes Unlabelled"
To distinguish these types of deliveries from each other, our personnel drop color-coded "hats" onto the deliveries denoting their state. Non-Compliant Delivery "ASNed but Boxes Unlabeled"
Though far less shameful than a Red Hat Delivery, a Blue Hat Delivery denotes a shipment which had a digital ASN created but never went to the trouble to print and label the boxes. 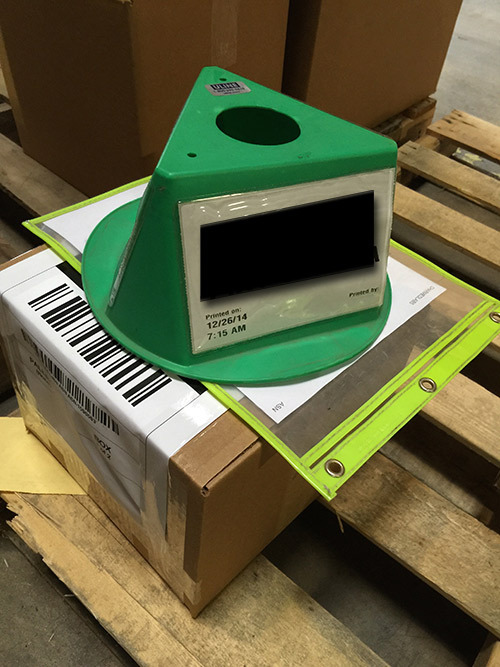 This requires significant additional handling as we must open every box and count every item and then print the labels ourselves. 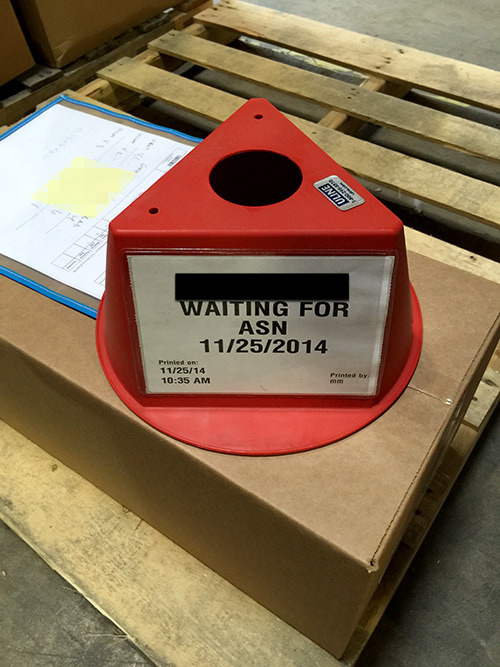 These also ensure delayed processing, though they usually go faster than Red Hat deliveries. ASNs that have been properly created and labelled earn the proud Green Hat. They enjoy the fast lane treatment at our dock and are practically ready to be Put Away. Faster receiving means faster selling, because once your inventory is received you are able to sell it on your online store. 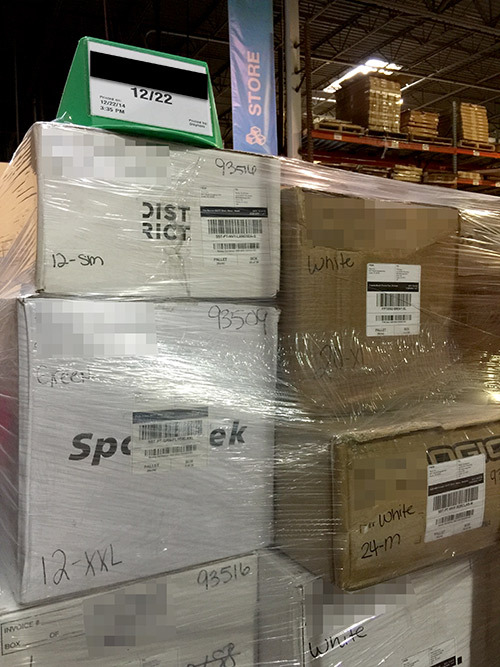 In the image below, you can see a large delivery where all boxes show proper labelling. 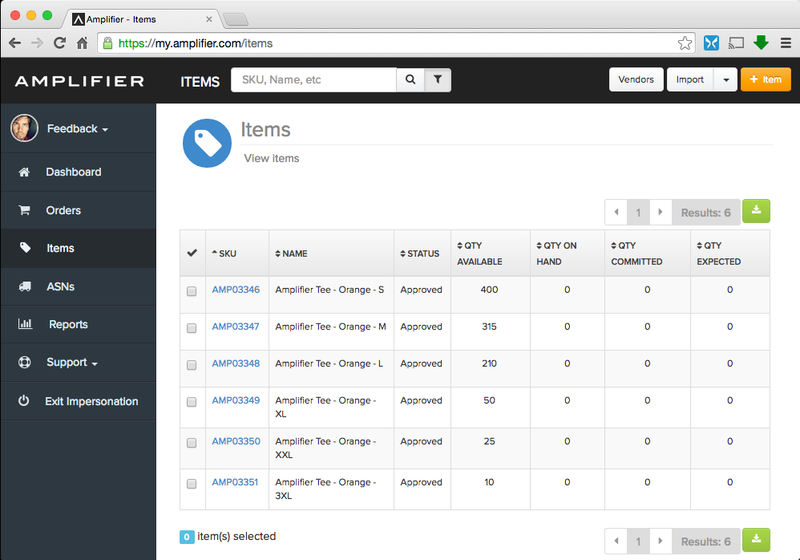 Once we have your delivery completely received into Inventory, Amplifier updates your records to show that they are now AVAILABLE.